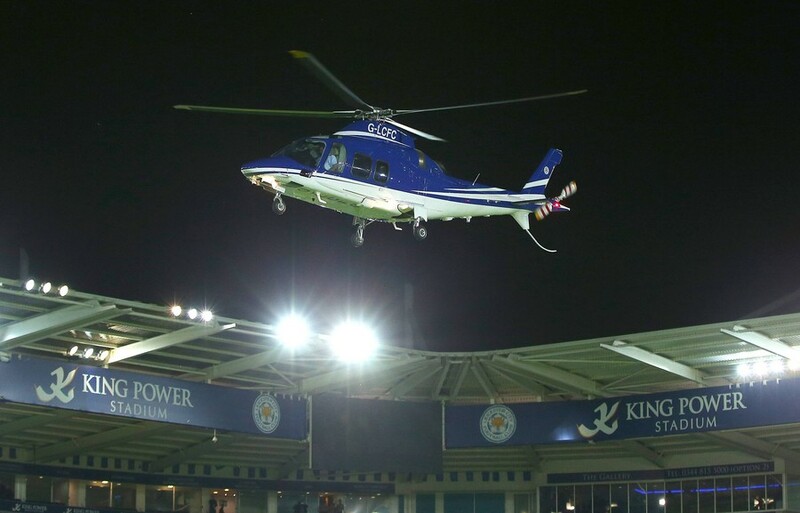 A helicopter belonging to Vichai Srivaddhanaprabha, the billionaire owner of Leicester City Football Club, has crashed outside the King Power Stadium. Videos from the scene show a massive blaze raging on the ground. Unconfirmed reports suggest that the Thai billionaire businessman was on board the aircraft. Sources close to the club later told Reuters that his daughter was also in the helicopter during the crash, along with two pilots and a fifth person. However, neither Srivaddhanaprabha’s representatives, nor the police, have yet released an official statement. The helicopter used by Srivaddhanaprabha can carry up to eight people, including the pilot. Ben Jacobs, Senior Journalist with BeIN, ESPN and TalkSport, reported that Srivaddhanaprabha was on board the helicopter when it crashed into the car park. The King Power Stadium is expected to release a statement later. East Midlands Ambulance Service has tweeted it sent a doctor, two paramedics and a Hazardous Area Response Team to the scene. The service has not revealed if the crash resulted in any deaths or injuries.